AL TORRIBIANCHE GIOCANTIERE: IMPARIAMO DIVERTENDOCI! BAMBINI SIETE PRONTI A COSTRUIRE? 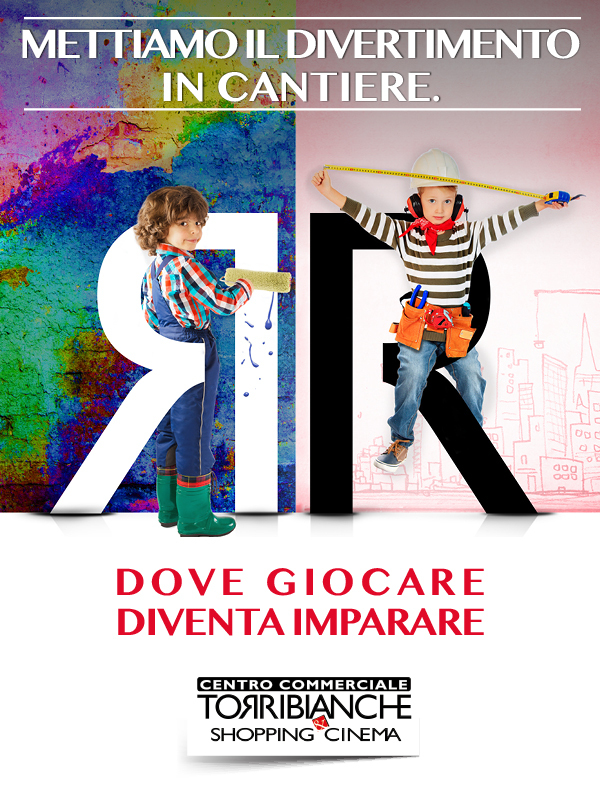 VI ASPETTIAMO AL CENTRO COMMERCIALE TORRIBIANCHE SABATO 11 E DOMENICA 12 NOVEMBRE PER “GIOCANTIERE”, DUE GIORNI DI GIOCHI E LABORATORI PER I BAMBINI DAI 3 AI 6 ANNI. VI ASPETTIAMO CON TANTE SORPRESE E SIMPATICI GADGET!